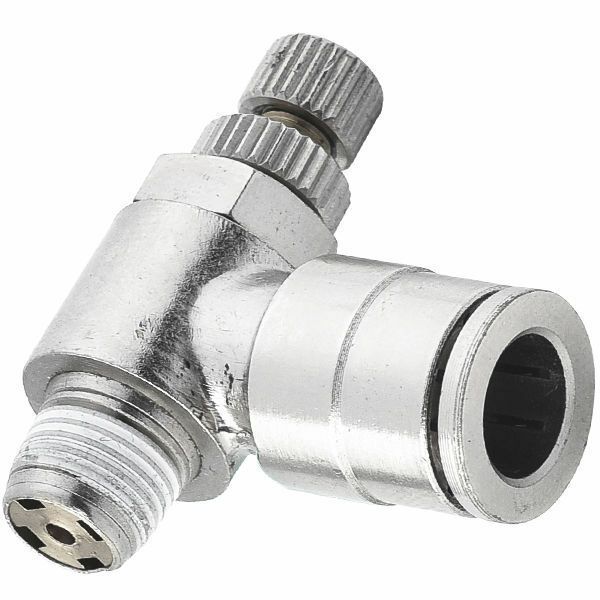 The BJSC Series features flow controls built entirely in a nickel plated brass construction. These units are equipped with a brass collet that provides excellent tube anchorage. speed controller designed for controlling flow to pneumatic actuators, these units come with push-in type fittings with pre-applied Teflon sealant. They operate in either meter-in or meter-out, with an NBR sealing for different pressures and temperatures. The series is also available with metric and imperial tubes of various operating diameter to better suit the user's requirements. Operating pressure (PSI): 0 to 150psi. Available in Meter Out and meter in style.